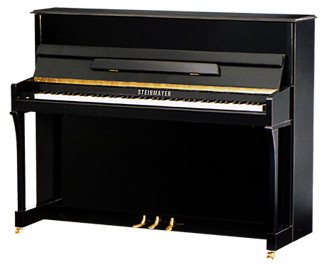 New Steinmayer pianos – now in stock! Steinmayer Pianos have undoubtedly opened a new chapter in piano manufacturing. The growing demand for pianos and the decline in European based piano manufacturing led to the rise of the Chinese piano market. However, this does not make them any less superior than some of the designer brands. In fact, the Steinmayer Pianos are especially designed and engineered by the renowned piano maker Lothar Schell. His work was connected with that of Young Chang pianos of South Korea. This collaboration represents a sharing of European piano craftsmanship with Asian manufacturing and resources. The manufacturing of these pianos began in the year 1949 and the factory was recently converted into state of the art German machinery making it one of the largest and leading piano manufacturers in the world in Beijing, China. The Stenmayer piano manufacturing factory in Beijing is now one of the largest piano manufacturing facilities in the world. Steinmayer factory produces nearly all the parts in one location and the factory in itself is a remarkable facility. Steinmayer pianos were also awarded the ISO International Quality certificate award in the year 1998. They now export pianos to over 68 countries making pianos for both Baldwin Co of America and Kawai of Japan. 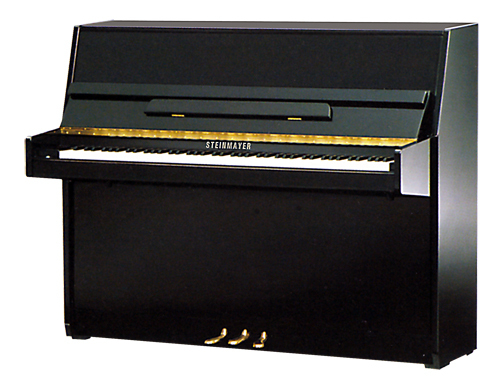 Steinmayer are also the best-selling Chinese pianos in the U.K. 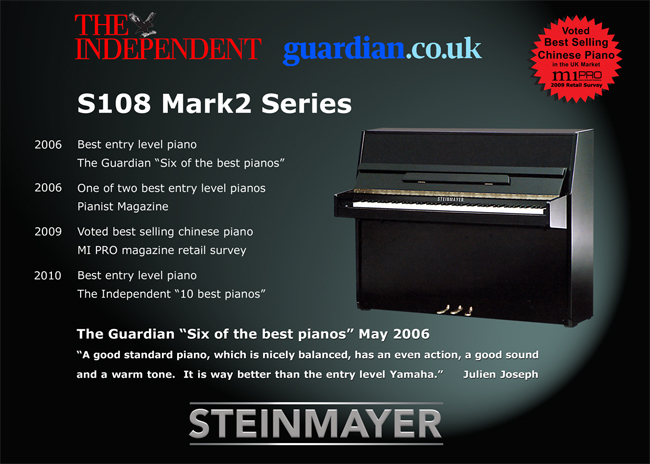 In the year 2010, Steinmayer pianos were awarded as the “the best entry level piano” in the 10 best pianos list of the Independent guide. Buckley Pianos sell different models of Steinmayer pianos, they are available as 6 octave piano, gloss mahogany and dark finishes. Steinmayer pianos have great consistency, quality and style. These are also extremely affordable. Steinmayer pianos have touch, style and quality – they have a similar touch and are rounded. Above all, they add immense aesthetic value to your living room! So you can not only learn to play piano for leisure but can also put in your living room to add a musical touch to it! They are extremely durable and reliable. If you are looking for Steinmayer pianos we will not be beaten on price. All our Steinmayer pianos include free delivery within 250 miles of Chester, this includes most cities in England and Wales.